AEC Centric | The choice of architects, engineers and designers worldwide. Manage your company as a whole. Frank is ready to integrate all your information, so you can always be in control. 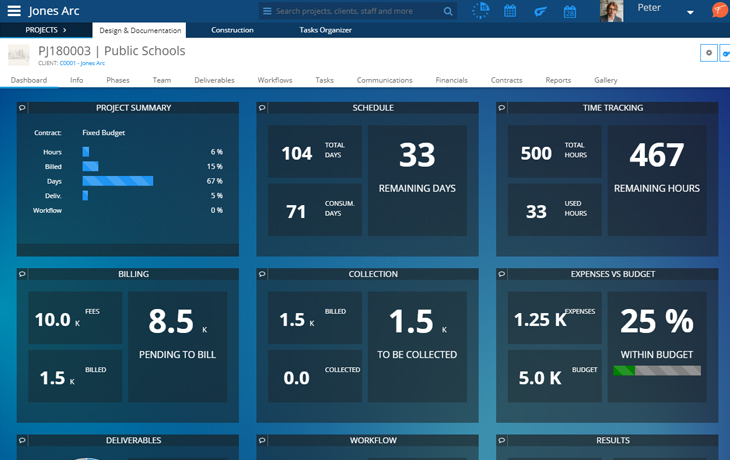 Frank simplifies the way your team works by improving workflows, task management, communication and time & expense tracking. Also helps you keep centralized and integrated all project documentation, reports and accounting information. Look at data any way you like. Get realtime metrics and easy spot problems before the damage is done. 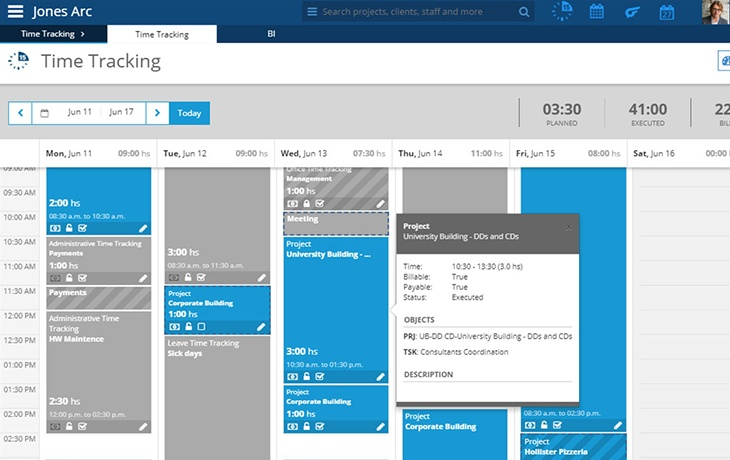 Advanced Project Management features designed to help you save time and organize your projects. 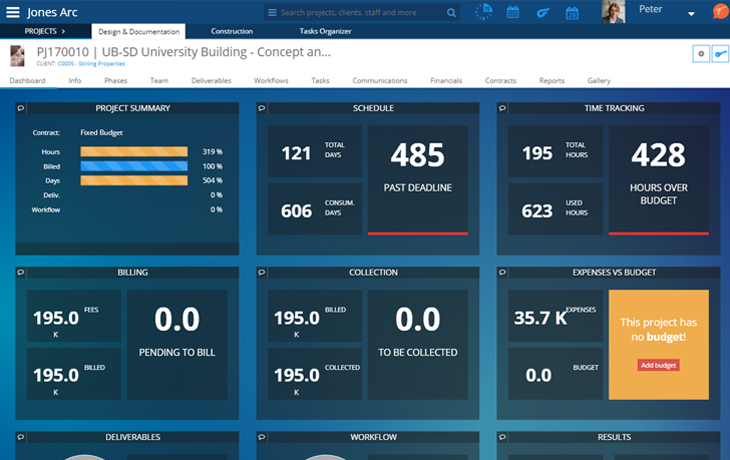 Once your staff starts adding time to projects in Frank, everyone will gain insights on how they use resources. Manage your clients, leads and vendor. Sort out your marketing material online and link it to your website. Set your staff’s profile and your firm’s marketing resumes. Dealing with multiple teams need a unified access to their pending matters. The task organizer allows to monitor all duties in one place. Keep all your project communications in one place and centralize emails, large file tranfers and meetings. 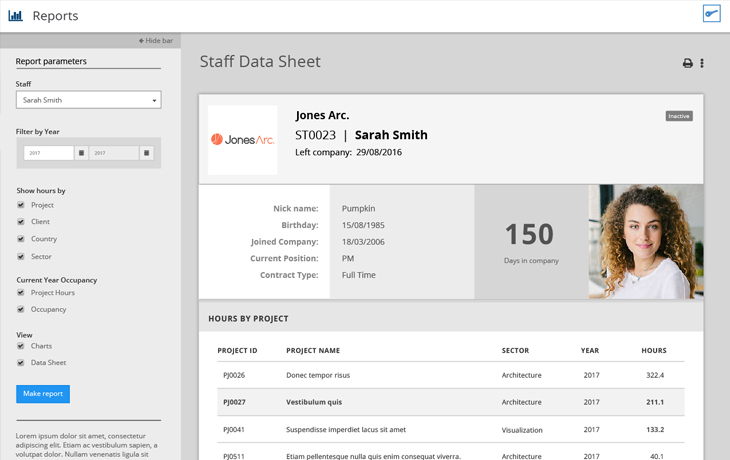 Create budgets, keep your expenses under control, and manage vendor qualifications for your construction projects. In today's globalized world, Frank can make your documents available for your staff. 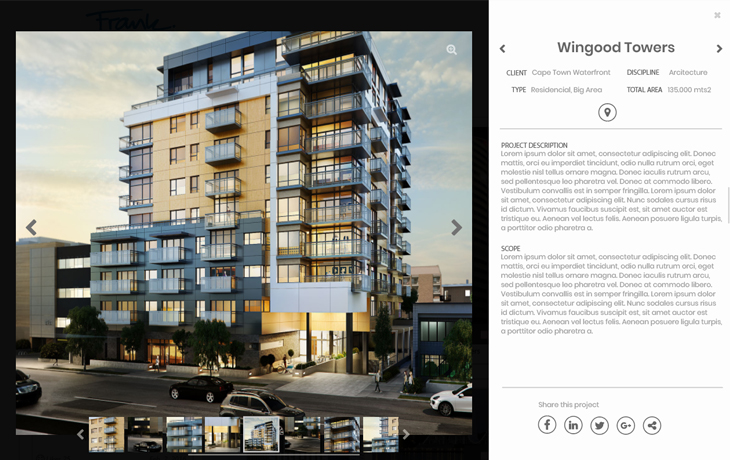 A few things that make Frank the best platform for AEC firms. Every project goes through stages. Manage them and keep the project on track since its inception. Send files easily through Frank, keeping everything well organized and knowing exactly the latest distributed version. Keep a close eye on your project’s numbers and access industry-specific performance indicators. Set your starting budget so you can always compare with your plan and see how to improve. Keep your expenses-budget relation in real-time, detecting deviations early on and act on them. Frank is prepared to help you build. The platform keeps a qualified record of vendors –likely the most critical ingredient in your recipe. Your information is safe. With a wellthought security key system, keykeepers can assign access to information at will with one click. Simplify your collection process. Don’t let finances ruin your day; manage billing and invoices in one place with QuickBooks. Frank hosts all data in Amazon secure data centers in the US and follow application security best practices. Set your Company Set up and Project Set up Templates with our technical guidance and tutorial videos. Accompaniment for the very firts days with Frank, personalized consulting and implementation advisory guide by our technical team. Is an holistic and innovative way of understanding and managing AE businesses. Focused on projects, it provides a the framework to architect a better way of working, whilst keeping a clear view on the big picture. 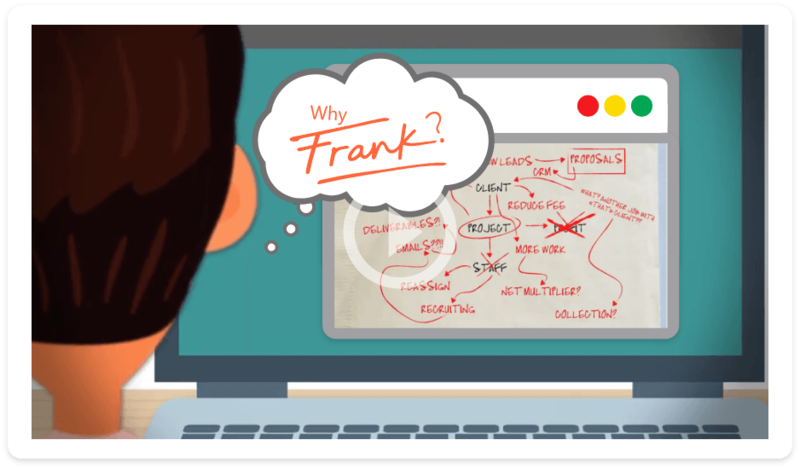 Frank help you deliver projects consistently. You can shape Frank to become your right-hand man. 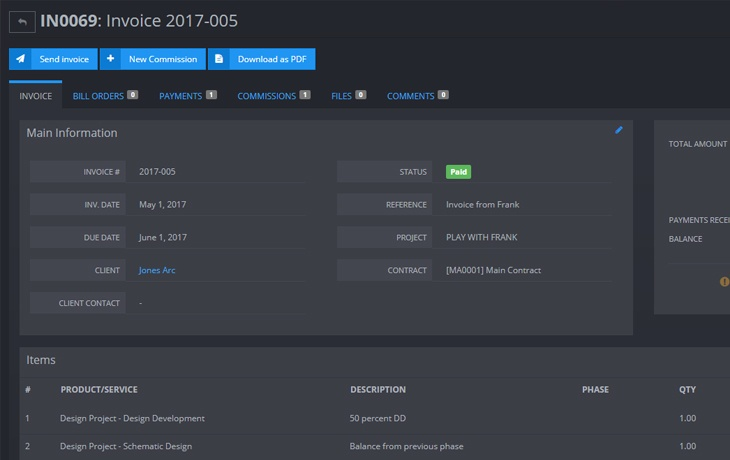 There are a few things we can do to make your experience with Frank unique.